A gift of any size will help! When someone wants to connect to his heritage without judgment, regardless of how one label himself: intermarried, Conservative, Reform, or unaffiliated. When someone needs a visit whether at home or in the hospital and when someone needs counseling or just a friend, Chabad is there . 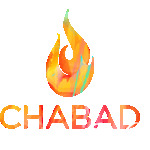 Click Here for Chabad Partners Club Page. Chabad of SnoCo is a 501(c)3 charity and all contributions to it are tax deductible.